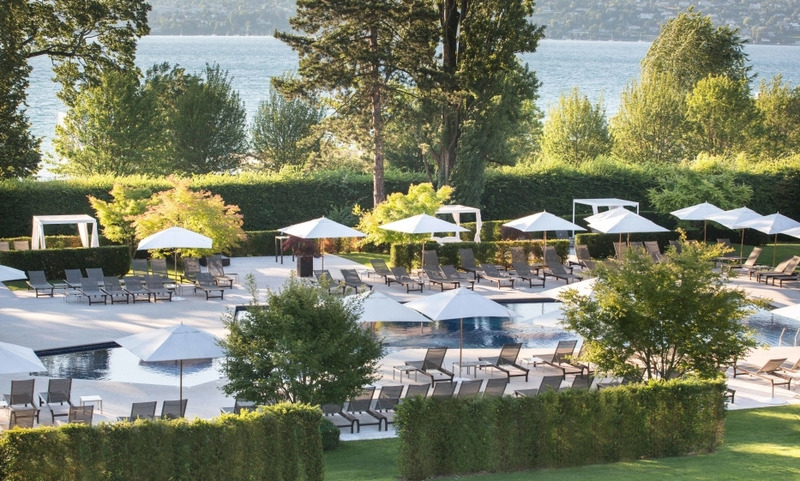 Found just outside the city, and overlooking Lake Geneva, La Réserve Genève is a luxury hotel and health retreat with a rather unique aesthetic appeal. It was crafted in the style of an African game reserve. The Nescens spa offers an incredible array of treatments from preventative to aesthetic medicine, and specializes in anti-ageing treatments; just make sure that in your time spent in this cocoon of well-being, you remember to book a table at Tsé Fung, the hotel’s Michelin-starred restaurant. Unique luxury urban resort on the shores of Geneva Lake. 2500 sqm wellbeing spa NESCENS featuring signature treatments and personalized "better aging" programmes from 4 to 14 days. Healthy spa restaurant. Kids program ideal for families : 4 ha park, nursery, kid camps, nautical activities, outdoor pool. One of the best in Geneva. Perfect service, delivered by excellent staff. A beautiful hotel perfect for a family vacation. The rooms are very comfortable and the garden is a great place to relax in. The service is very pleasant.